Pyramid Infratech is proud to announce another masterpiece commercial project Pyrmaid Square67a located bang on Sohna Road sector 67a Gurgaon.Pyramid Square 67A is consists of 164 retail shops. 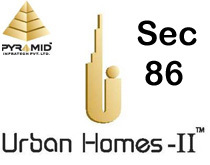 Pyramid Square67A commercial project is surrounded by residential area having more than 10000 family living already in the luxurious residential projects of DLF, EMAAR, IREO,ANSAL, SUPERTECH etc. 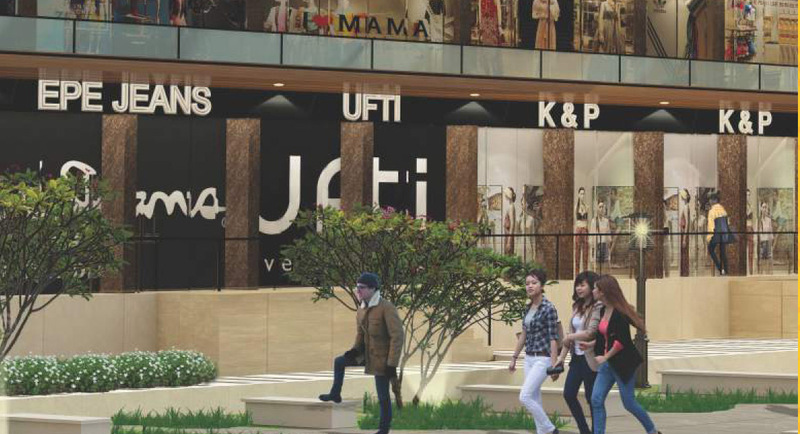 The Pyramid Square 67A will feed all high-end labels and mainstream brands. The seemingly endless choice of shops and outlets here have everything under one roof. It has an ideal mix along with the unique location, will make PYRAMID SQUARE 67A the next commercial destination for the region. Pyramid Square67A is a High Street Retail Market offers open aire shop spaces that are low maintenance. 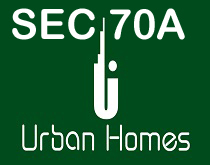 It is the only retail hub for thousands of affluent families. 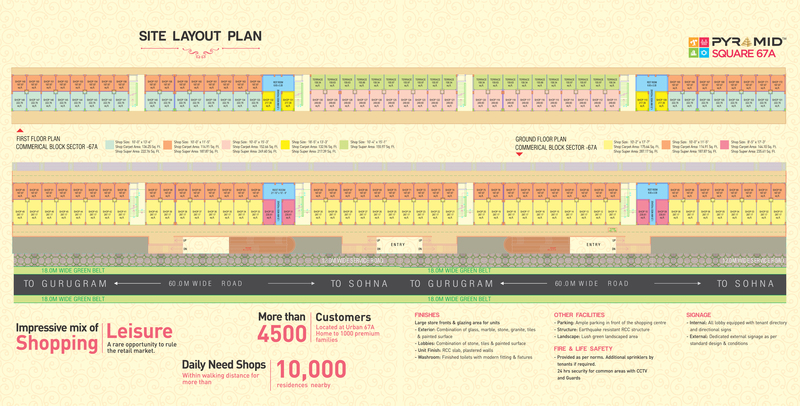 We have dining options to add important aspect to the shopping experience. 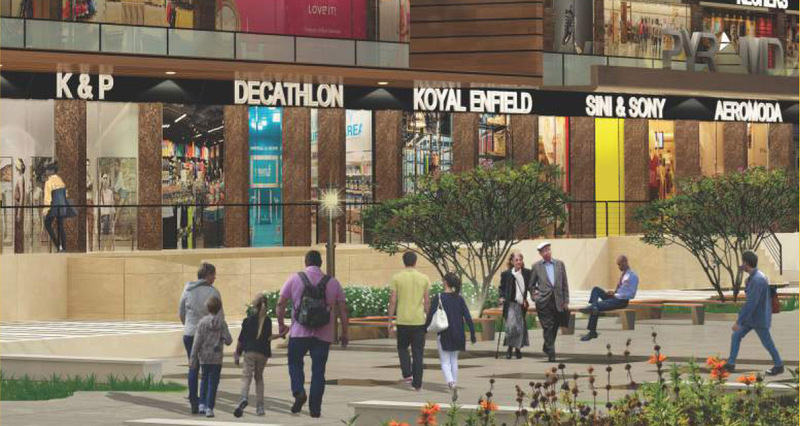 Adding Flavors to retail commercial setup of Pyramid square 67A, Is its dedicated space of approx. 5000 sq.ft for roof top Restaurants on 1st floor with separate terrace area which makes it as a best investment option for all. 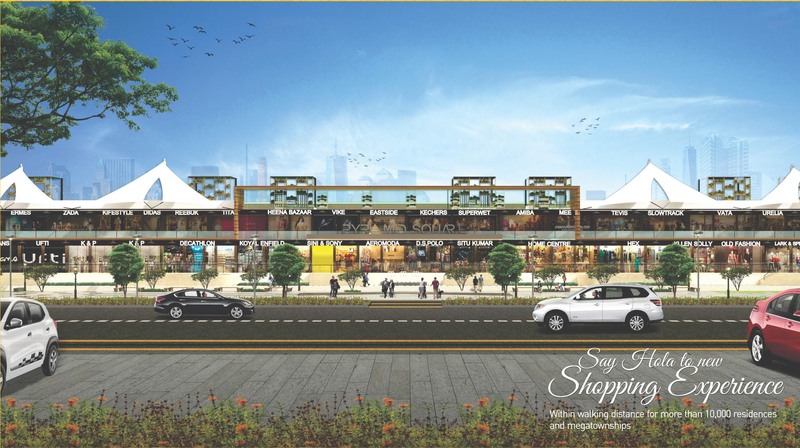 Your choice of investment will soon be the first choice of a complete shopping destination for many. State of the art, contemporary construction and architecture. Surrounded by luxurious residential projects of builders like DLf,M3m, Ireo, Ansal etc. Ground Floor 187.87 Sq.Ft. – 287.17 Sq.Ft. 15000/Sq.Ft. 12750/Sq.Ft. 13250/Sq.Ft. First Floor 155.97 Sq.Ft. – 249.60 Sq.Ft. 13500/Sq.Ft. 11250/Sq.Ft. 11750/Sq.Ft.